CHANGE was a magazine designed to take on the overflow of reviews and information that couldn’t be handled in issues of Work that now became almost too thick to be stapled. The emphasis in CHANGE was The New Thing, The New Music, The New Wave, etc., a world that was undergoing a spiritual revolution, a new consciousness reflected in art and music. 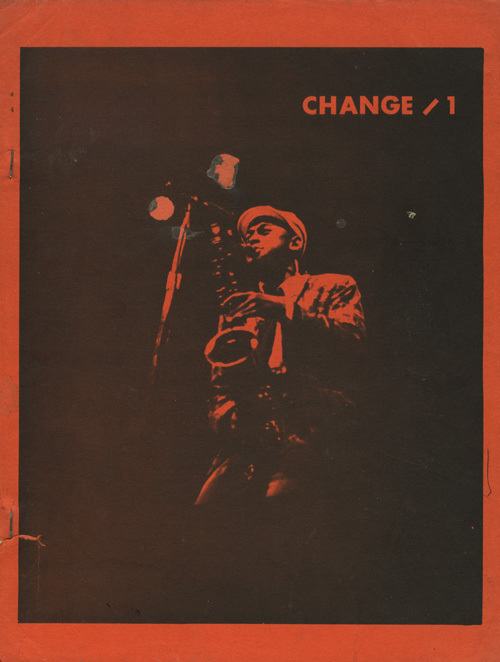 The cover of CHANGE featured a photo by Leni Sinclair of Archie Shepp, printed on bright orange boards. 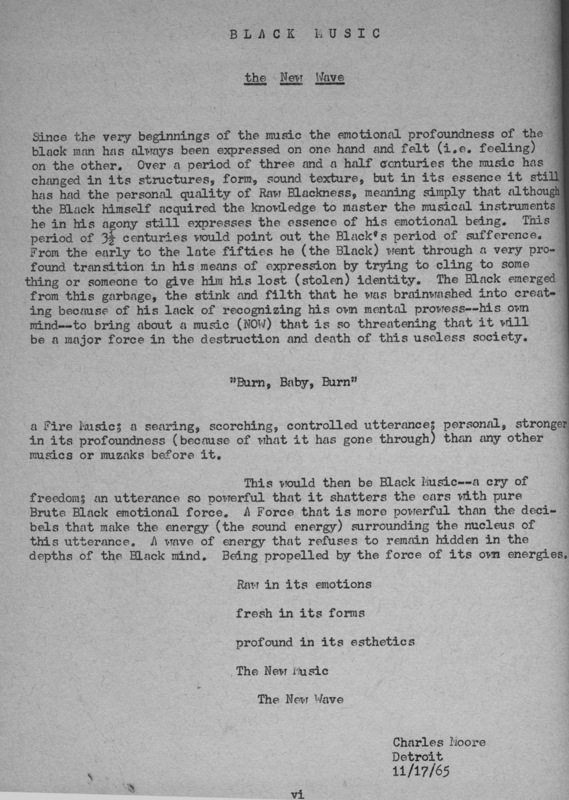 CHANGE was a forum for FIRE MUSIC of all kinds; the most advanced Jazz magazine of New Music in the country, perhaps in the world. CHANGE was international. It reviewed important live performances: Tom Fiofori on Ornette Coleman and George Tysh on Steve Lacy in Paris. Recordings, interviews and reviews with; Albert Ayler, Mingus, Wayne Shorter, Eric Dolphy, Sun Ra, Ali Akbar Khan in Detroit by James Semark. Important avant-garde scores by Artist/composers were inserted. 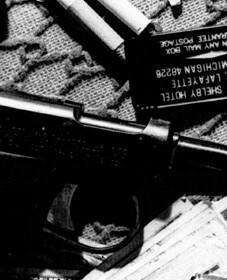 In 1965, Magazines like CHANGE were a rarity: CHANGE was the avant-garde. 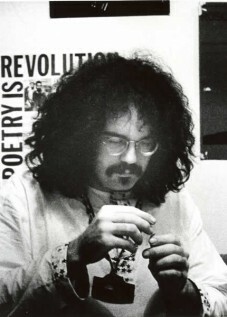 Excerpts from editorials by John Sinclair and Charles’s Moore follow the cover of Change /1 reproduced below. CHANGE will be for interested a sympathetic people, those who listen to the new music, & find it of essential use to themselves. As such. CHANGE should be a forum for these listeners, especially musicians, to make their responses to the music public, or at least as public as its reading audience is. CHANGE therefore invites young & informed musicians & listeners to contribute essays, statements, reviews, or any other forms of response to the music. The purpose here is to create a forum, for the new music, to make up for the lack of same in the other “jazz magazines,” which propose a wider recognition (if only in quantitative terms) than we have in mind, i.e., feel a need for. 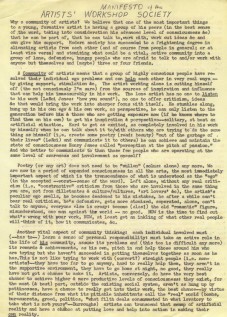 We take as example the huge forum that exists for contemporary poetry in the “little magazines”–magazines usually edited & printed by the poets themselves, who have realized that the established communications media are not even interested in what is really going on in American poetry & take the job of getting the work out themselves, as it should be anyway. 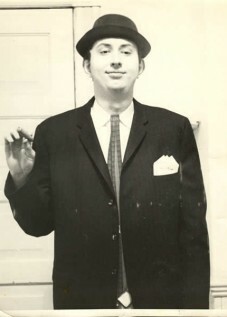 The same situation obtains in “jazz” music today, so that DOWNBEAT has as much relevance to the vital (alive) happenings in American music today as the PARTISAN REVIEW, say, or HUDSON REVIEW have to what is happening in American poetry. CHANGE, then, proposes to take on the job of providing such a forum, and to encourage those writers & musicians who would attempt to register their responses to music verbally. CHANGE will have to do entirely with those musics & those musicians its editors hear as the real voices of America, the strong and useful artists of this time. Likewise the writers for CHANGE will be strong & of use, as the tired purveyors of fashion (fascism) & solid middle-class sentiment in the “jazz business” are not. CHANGE will continue to hunt out & encourage listeners whose responses tomusic are honest & unhackneyed, whose ears & minds are OPEN, who come to the music with the artist’s sensibility & not as journalists etc. We are open to responses to any form of music from listeners who do have those qualifications, & we especially hope that more & more musicians will make use of the possibility for verbal expression CHANGE affords. Selection of manuscripts for publication here will of course be completely arbitrary, i.e. as the editors see fit, but we do hope to maintain as open a forum as possible. This does NOT mean, however, that we plan to provide another platform for the establishment hacks to yawp at the music & the social ethic it has come to stand for; their puny bourgeois whinings have dominated the existing “jazz” journals for too long already to give them another outlet for their man(mind)ki1ling middle-class pleadings. “Its always telling me about responsibility. Businessmen are serious. …each member of the Society pledging whatever aid he can manage to the group effort. And all of this is done in the middle of a totally hostile environment—America—which tries daily to destroy us. We are not bragging or anything like that, but merely pointing out what can come about if men will it so. DIG YOURSELF is the only dictum, & then go on from there, get out of yourself and into the community of human beings that is more than the self. Our art is the best tool for the job, and this art is available to anyone who can hear. CHANGE is what is needed, on all levels. Things cannot remain as they are or we are all doomed. “What does not change/ is the will to change,” Olson said. & we hope to keep that will alive when everything else seems to act to kill it. CHANGE, this magazine, will act to give nourishment to that will to change, and we hope it will serve as only one of the first collective signs of the growth of that will.